Picture the scene: a group of executives is at an off-site meeting to discuss the company’s strategic direction. They begin with a review of the market, including patterns, trends and influential factors. Before long, the conversation is pulling them like a riptide, further and further out into their industry’s vast sea of information and data. Several hours later, they are no closer to determining their strategic direction because they haven’t been able to separate the noise from what’s truly relevant to their business. 3. Industry Publications: The journals and websites providing industry news report on hot topics and emerging trends. While it’s helpful to have a cursory understanding of these topics and trends, it’s easy to allow them to muddy one’s thinking. Just because there is a feature article on Artificial Intelligence, Blockchain Technology or Big Data doesn’t mean they should be an overriding part of your strategy conversations unless there is a clear and relevant link to your business goals. 4. Internal Chatter: From the “flavor-of-the-month” initiatives to the fire drills, there are internal sources of noise that can quickly hijack your time and attention. If your team lacks clear goals (destinations) and strategies (guardrails), then you’ll constantly be pulled into situations that don’t deserve your energy. Being strategic means saying ‘no’ to some internal requests that don’t bring the most value to the group. An effective exercise for starting a strategy conversation about your business is the Contextual Radar. The Contextual Radar contains four quadrants representing the market, customers, competitors and company. The team identifies the factors that are top of mind for them in each of these four areas, including market patterns and trends, customer thinking and behavior, competitor activities and company culture, processes, systems, etc. A productive next step is to then cross out those factors that represent noise: extraneous and irrelevant things that you’re not able to influence. This helps the conversation stay on track because you’ve removed the noise and are now able to focus on what’s most important. 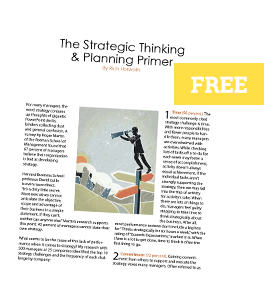 Research shows that teams are 40 percent more committed to executing strategies when they believe their leader has set clear strategic direction. 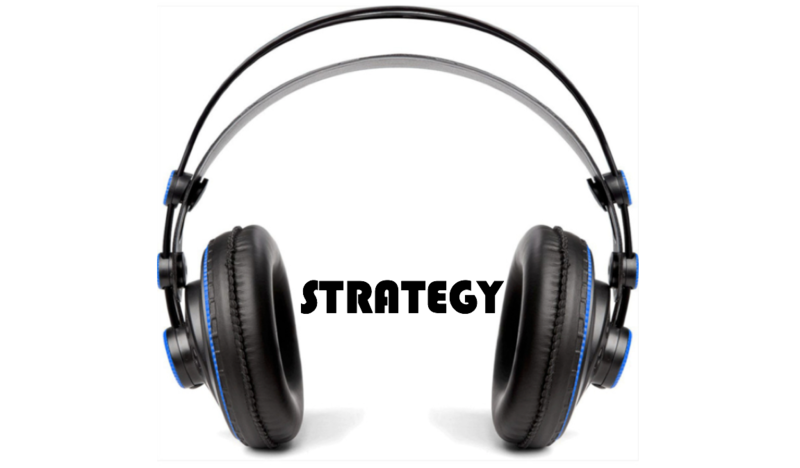 Eliminate the noise, soundproof your strategy, and give your team a clear path to focus.